I have been too busy to get any extended time in the shop this last week. 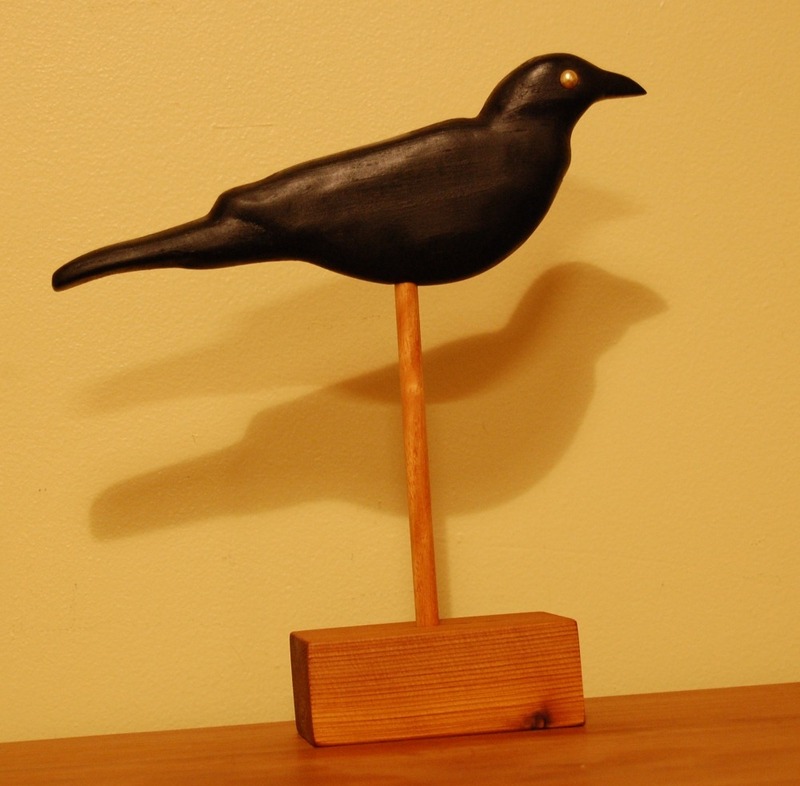 When I get even a few minutes free though, I seem unable to stop carving wooden crow decoys. The family Corvidae has my attention. This is not a full bodied crow but in the ‘flattie’ style. It is also for sale on my Etsy shop. I had a hard time getting together a pattern for my crows. Does anyone else have trouble finding good bird patterns? Please let me know if you have found some that you are really satisfied with. I have been photographing birds and making my own. More cool tools are coming. My father does a lot of metal work and a couple weeks ago I had asked him to make me some straight bladed draw knives. I got them and they turned out great. You will be jealous, I promise. I will post pics of them soon. This entry was posted on April 26, 2010 at 2:21 am and is filed under Carving, decoys, Woodworking with tags decoys. You can follow any responses to this entry through the RSS 2.0 feed. You can leave a response, or trackback from your own site. What a coincidence! I stumbled across this blog yesterday — before you commented on mine. It seems tha t we have a lot in common.